I almost fainted that Sunday morning as I sat somewhere in the middle row of our large church auditorium. Did the Pastor just mention that I was the new Youth Pastor? My husband was sitting beside me. He reached for my hand and squeezed it gently. Gradually I released my breath but my heart wouldn’t stop pounding. I raised my head to find the Senior Pastor beckoning on me to come forward. When I took a quick glance at my husband, his face was beaming with smiles that said, ‘I’m so proud of you.’ He pulled me to my feet. It was then the congregation rose followed by a thunderous applause. I stepped out of my seat wishing I had worn a long flowing gown over a flat sandal but here I was in a blue six-inches heel shoe my husband had bought for me when we went shopping the previous day. I love wearing high heels but because I was nervous, I feared the heels may slip off and I’d land on the floor. I cringed at the thought and walked gently to the pulpit where the Pastor and his wife were already waiting for me. The Pastor raised his hand and the applause died down. I faced the crowd and all I saw were countless heads of people in the main floor and at the gallery. The Pastor continued to talk but I wasn’t listening anymore. Tears burned my eyes and my hands trembled. Why would the Pastor choose me for this kind of assignment? What about Bro Kenny or Bro Ebuka. These were passionate men whose impact in the youth church cannot be quantified. What about the youth prayer co-ord or the head of the technical unit. Why would my Senior Pastor by-pass all of these strong men to pick someone like me? Was I capable of taking up this position? So many thoughts ran through my mind. I almost panicked. It was just like yesterday that I stood on the podium of my campus fellowship back in the Federal University of Technology Akure (FUTA.). I had been appointed the sisters co-ordinator for the fellowship and that day as I gazed at the sisters I was going to lead, I saw dissatisfaction, anger, envy, indifference. Some of them wouldn’t even look at me. ‘They don’t like me.’ I said to my friend, Shewa, as we walked out of the fellowship hall that day. The nasty attitude of some of the sisters got worse by the day. I called for a sister’s meeting and only a few showed up. If that attitude had come solely from the members, I might not have been bothered so much but even the sisters in the excos were giving me the silent treatment too. One evening, as I walked into the fellowship secretariat from class, tired and worn out, I overheard some sisters talking about me. As the days dragged on, I began to notice Sis Bose giving them so much attention. She had this ‘iya ogbomoso’ kind of appearance though in a cute way, and with the wonderful meals she prepared, I already saw my tenure as the Mama of the fellowship a complete failure. The fact that she displayed those performances I considered phony right in my presence hurt so much. Several times, I cried. I wanted to be loved too. I craved acceptance more than anything. Shewa and some of my friends encouraged me to be patient but I was already losing my sleep over their cold attitude towards me. I began to observe some of the things Sis Bose did to gain their approval and made similar moves. I visited them in their rooms and found a way to get them on my side. It was an investment that paid off but not without some serious consequences. I couldn’t correct them without dealing with their tantrums. Any decision I made that went against their wishes hit a brick wall. I remember the day I returned from class and my spirit was dampened when I saw ladies in different corners of my room. My plan had been to hit the sack so I could wake up at night to read. Frustrated, I brought out the container where I stored my garri and my heart cut at the quantity left in the container. How will I survive the remaining part of this semester? I smiled and asked one of the ladies to heat water for eba. At that point, it was clear that the okro soup I thought would last for the week was going to finish in a few minutes. I stared at the bodies stretched out on the mattress. Some are singing, two ladies were sleeping and one was reading a novel. I perched on the edge of the mattress and rubbed my forehead praying the throbbing headache would disappear. When I stood up to check the pot of soup on the electric cooker, one of the sisters was pouring my powdered milk into a cup. My eyes widened when she wouldn’t stop even though the cup was almost full and I almost shouted at her but restrained myself. Two weeks ago, I had refused giving in to the demands of a sister’s request for money because I was short on cash and the fellowship’s purse was lean. She walked out angrily and said sis Bose would never act that way. I ignored the milk devourer who was now scooping the second spoonful of milk to her mouth and walked into the kitchen. When the eba and okro soup was ready, they all descended on the big bowl, calling me the best Mama in the world. Prior to this time, I would be elated but on this day, those words irritated me. As they ate, I thought about the carryovers I would face if I didn’t give attention to my studies. Around 5 p.m, they all left my room to prepare for the evening service and when I thought I would finally get some rest before my roommates return, a sister walked in and pleaded with me to give her money for airtime. It would be the fourth time she’d be making such demands. I didn’t want her to get offended and run to Sis Bose so I gave her the only 200naira in my purse. She planted a peck on my cheek and instead of leaving, sat down and went into a long tale of her roommate who made her life a living hell. Could she move in with me, she asked. Again, I said Yes even though there were four occupants in my room already. By the time she left, it was already time for the evening service. After the service, there was going to be a two-hour exam prayer session. I didn’t care what anyone thought about my incapability. Yes, I had fainted in the day of adversity. I agree that my strength is small. I am a failure. I broke down in tears. Heart wrenching sobs. My body vibrated. Sweats covered my forehead. I went on my knees and for several minutes couldn’t utter a word. Then I lay on my bed. I muttered those words again. I had this deep reassurance that I could achieve any task by His strength. I stopped struggling with Sis Bose for the affection of the sisters. I learnt how to enforce discipline from the standpoint of love. I built my knowledge base and became an expert at saying No when necessary. It was a whole new experience for me. God began to show me how to stay on top of situations without falling apart. Some of the sisters I thought would immediately run back to sis Bose stayed by me and supported me and that left me stunned. Ladies from other fellowships confided in me and I was amazed at the words of counsel that came forth out of my lips. I took all of the lessons from my challenges and mistakes into my one-year youth service where I was appointed the State NCCF General Secretary. So that Sunday morning, as I knelt down and the congregation stretched forth their hands and prayed for me, I whispered a prayer to God just as I did that night in my room back on campus. Lord, help me. I can’t do this by myself. I’m so scared of the assignment before me but I know that I can do all things through Christ. I ask for your wisdom, heavenly father. Let your will alone be done through me. Right there, I heard these words clearly in my spirit. Francisca, you are my masterpiece. I have prepared you for this day long before now. Every tear, pain, mistake, joy, challenge, obstacle that we encounter in our lives, God uses to mold us into what He wants us to be. In God’s agenda, you are not expected to skip the process required to arrive at the place he has set out for you and that process does not come via the easy path. Some are in leadership positions that seemed small and inconsequential, but do not realise that it is a preparation stage for something big ahead. The pruning process may be tough but my dear brother, it is worth staying in God’s hands. Character is always a core course in God’s scheme of work. Run from it and you may never fulfil the divine purpose for your life. …that the trial of your faith, being much more precious than of gold that perisheth, though it be tried with fire, might be found unto praise and honour and glory at the appearing of Jesus Christ. 1 Peter 1:7. Nobody comes forth as gold without going through fire. What the devil intends for our destruction, God uses for our promotion. We’ll rise above the wind and the storm. Some are already jumping out of God’s hand and going their own way. If only they can see a glimpse of the beautiful future God has planned for them long ago. Some have chosen Ishmael instead of waiting for Isaac because they have refused to let patience perfect its work in them. When our gaze is fixed only on what we can see now, we lose sight of the eternal blessings that the human mind cannot comprehend. Don’t jump out of God’s laboratory. Let him teach you what you need for the journey ahead. Be reassured that He will not permit any difficulty beyond what you are able to bear. And when God finally brings before you that assignment or task that looks so overwhelming, be confident that you can accomplish it through Christ who strengthens you. Lessons from the Book of Galatians: Who called you? A message of hope: God’s commitment to you. God bless you so much Ife Grace for this soul lifting post. Our strength is indeed made perfect in weakness. This message has given me another courage to hold on to God. 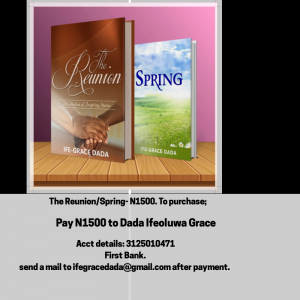 thanks sis grace. Thanks. That word is enough to mutter prayers on this week. 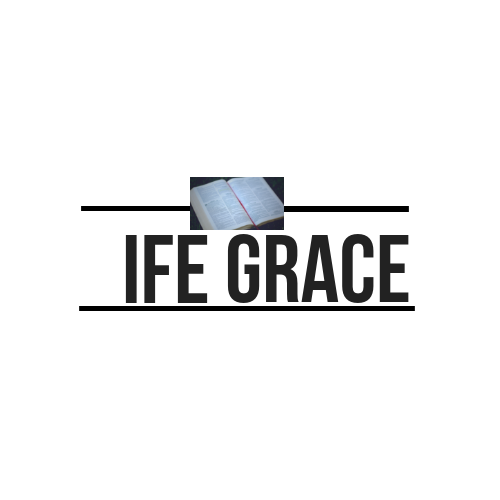 Have a great week with God, IfeGrace. The pruning process may be tough but I choose to stay in God’s hands. Thanks ma for these words of encouragement. His power is made perfect in my weaknesses!!! Thanks for bringing forth this word,was actually the same thing I was meditating on yesterday and God was brooding more on the making zone. Oh yes! We can survive it.. God will never bring our way what we can’t handle. I will wait on Isaac Lord with your strength. 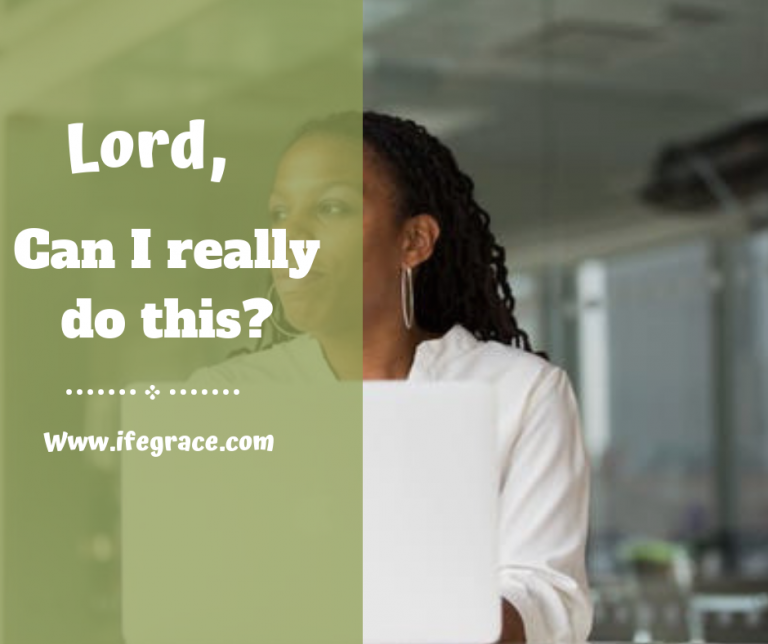 Almost moved to tears by this post… Sometimes, I ask God if I can handle the assignments He’s entrusting in my care. His words are clear on the making process and that’s why He teaches us things or allows us to pass through certain situations that seem beyond our control. He’s got our backs and got us covered. Vicky, we can handle whatever assignment God entrusts in our care. If we can just trust and follow Him each step of the way, we’ll fulfil all He has called us to do.